SUPERIOR, Wis. - The Lake Forest College women’s hockey team finished its season at the Northern Collegiate Hockey Association’s O’Brien Cup Playoffs over the weekend (March 2-3). The Foresters fell 3-1 to host UW-Superior in Friday’s semifinal before defeated UW-River Falls 5-4 Saturday afternoon in the third-place game. Lake Forest finished the year with an 11-7-7 overall record. After a scoreless opening period on Friday, Superior recorded the game’s first goal at the 3:13 mark of the second. 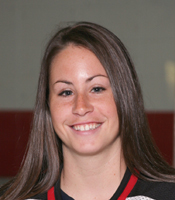 Forester junior Courtney DeHoey (Chatham, Ont./Bluewater Jr. Hawks) then tied the score at 8:27 off assists from classmate Laura Wilson (Corunna, Ont./Sarnia Sting) and freshman Brita Irving (Fairbanks, Alaska/Team Alaska). The Yellowjackets regained the lead on what turned out to be the game-winning goal at 12:55 and added an insurance goal with 4:07 remaining in the contest. Lake Forest freshman goaltender Ryann McCarthy (Lombard, Ill./Team Illinois) tallied a career-high 53 saves in the game, the second-highest total in team history for the next 19 hours or so. She finished her rookie season with a 7-2-3 record and .934 save percentage. Senior Sally Bevis (Huntington, N.Y./North American Hockey Academy) was between the pipes on Saturday, tied a school record with 63 saves, and finished the season with a school record .941 save percentage, breaking the mark she set two years ago. She also completed her career as the program’s all-time leader with a 2.75 goals against average and .917 save percentage during her four years on the team. 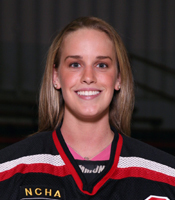 River Falls scored at 4:26 in Saturday’s first period and the Foresters evened things up on senior Katie Snowden’s (Toronto, Ont./Willowdale Redwings) ninth goal of the season at 17:10. DeHoey earned the assist, her school record-tying 15th of the year. A power play goal by Lake Forest freshman Maggie Bresser (Fond du Lac, Wis./Waupun H.S.) at the 8:14 mark of the second stanza gave the Foresters the lead. Irving and freshman Megan Patrick (Corunna, Mich./Capital Center Pride) assists on Bresser’s fourth goal of the season. The Falcons tied the score just 13 seconds later, took the lead on a power play goal at the 10:27 mark of the second period, and increased their lead to 4-2 with a score at the same time in the third. Lake Forest’s comeback began when DeHoey lit the lamp off assists from Snowden and freshman Jamie Sauer (Eagle River, Wis./Northland Pines H.S.) at 11:41. Patrick scored her first career goal just 24 seconds later to tie the game and junior Amalia Vriend (King City, Ont./Markham Stouffville Stars) assisted DeHoey on the game-winning shorthanded score with 3:50 left in the contest. It was DeHoey’s team-high 16th goal and school record 31st point of the season, surpassing her mark of 30 from last year. Lake Forest scored 2.68 goals per game in 2006-07, the third-best average in the program’s seven years, and set a new school record by allowing just 2.2 scores per contest.